The development of Dean quarry, threatens the bird breeding grounds and stop off points for migratory birds. It will jeopardise the habitat of basking sharks, grey seals, Harbour Porpoise, Risso dolphins, Bottlenose dolphins and Minke whales – all regularly seen off the coast here. Family of Risso Dolphins in Manacles MCZ. Photo courtesy of AK Wildlife Cruises. 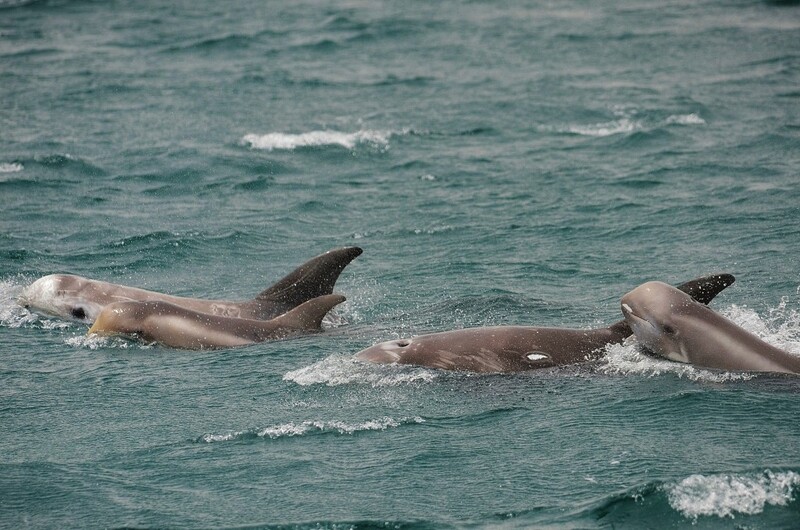 Both Harbour Porpoise and Dolphins are protected under the EU Habitats and Species Directive 92/43 EEC. Within this Directive, Article 4.1 protects identified areas and the phyisical and biological factors essential to the life and reproduction of these species. The Manacles Marine Conservation Zone is a semi-submerged reef providing an ideal feeding and breeding ground for Cetaceans. At low tide, clusters of rock are exposed, beneath which are huge spires of rock. This unique marine topology offers the perfect protection for marine life. There will be heavy explosions from 9am to 5pm on weekdays and Saturday mornings and the quarry working hours extend from 7am to 7pm Monday-Friday and 7 am to 1pm on Saturdays. Boats and 10,000 ton barges will be permitted to load any day, at any time, on any tide – 24/7!